Along With The Neuroimaging Which Consist Of The CT Scan, MRI, And DSA, We Also Use Tools In Diagnosing Neurological Problems. We Have The Best Neurosurgeon In Delhi Who Can Perform Various Neurosurgical Procedure Like Skull Base Surgery, Acoustic Neuroma Surgery, Pituitary Surgery, Minimal Invasive Surgery, Spinal Surgery And Gamma Knife Radio Surgery. 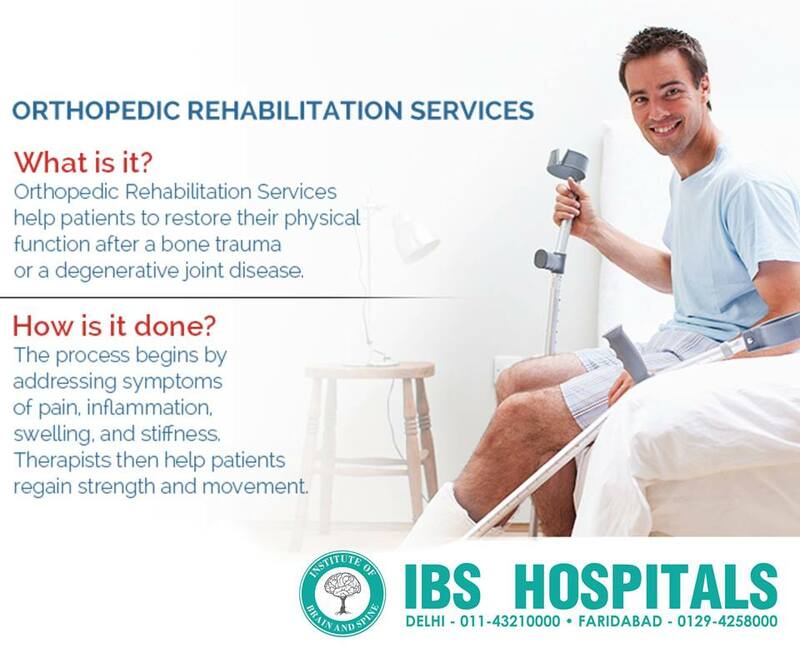 At Ibs Hospital, We Provide Compassionate, High-Quality, Patient And Family Centric Care To People Who Are Suffering From Brain And Spine, Nervous System And Peripheral Nerves Ailments. We Not Only Diagnose And Treat Patients But Also Focus On Rehabilitation And Prevention. Our Department Uses The Most Innovative And Sophisticated Neurosurgical Techniques. We Are One Of The Best Hospital In Delhi And Have Highly Trained Neurosurgeons, Neurologists, Neuro-Rehabilitation Team And Nurses, Who Work Together To Offer Comprehensive Treatment. Our Constant Interaction And Video-Conferencing With Specialists From Recognized Overseas Neurosciences Institutions And Globally Recognized Doctors Has Helped Us Develop As One Strong Unit Which Believes In Giving 100 % Results. We Have The Best Orthopedic Surgeon In Delhi Who Have Expertise In The Areas Of Patient-Care And Provide The Highest Level Of Specialized Services To Our Patients. Our Department Of Orthopedic Surgery Comprises Of A Multispecialty Group And Provides Care For Thousands Of People Annually. We Provide Treatment For Shoulder, Hip, And Knee, Arthroscopy And Sports Injuries Etc. We Treat Various Disorders Which Include Muscle, Tendon, Ligament And Nerves Injuries. Most Of The Patients Who Come Down To Us Prefer Joint Replacement And Lower Back Pain Treatment. The Surgeries Which We Treat Also Include Surgeries And Treatments Using The Latest Technology. We Are Well Known For Our Skilled Therapists, Surgeons, And Physiotherapists. There Are Magnificent Opinions Which Have Been Given By The Patients Regarding The Treatment Facility Offered In India. We Have Our Rehabilitation Department Which Has A Dedicated Team Of Musculo-Skeletal Specialist That Provides Excellent Pre, Intra And Post-Operative Care. Our Experienced And Dedicated Rheumatologist Manages Arthritis Patients. The Doctors Are Also Supported By Highly Experienced Physiotherapists And Occupational Therapist That Provide Out-Patient, In-Patient As Well As Domiciliary Care To The Patient.